The San Francisco Call: L.A. 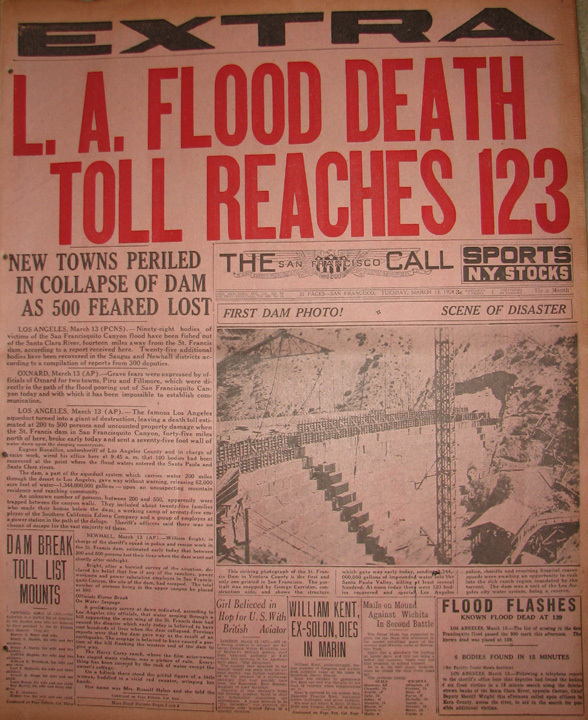 Flood Death Toll Reaches 123, 3-13-1928. L.A. FLOOD DEATH TOLL REACHES 123. NEW TOWNS PERILED IN COLLAPSE OF DAM AS 500 FEARED LOST.